Mad Science Exploration Days start with a High Energy All School Science Assembly followed by super fun, hands-on experiments in every classroom at the school. Exploration Days are perfect for creating a “Science Week,” motivating students before a science fair, or engaging young learners with cool science they will understand. Choose an In-Class Field Trip for each grade level from a wide range of science topics for your inquiry-based Exploration Day. Kids, science teachers, principals and parents love the results. 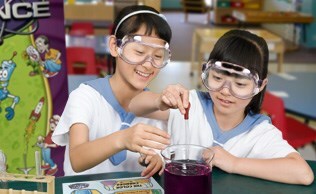 · Meet national and state science curriculum standards and follow professional lesson plans. · Are fun-filled and hands-on one hour programs. · Are led by trained, qualified and dynamic instructors. · Use unique equipment and original, professional materials. · Are age-appropriate and loved by children.